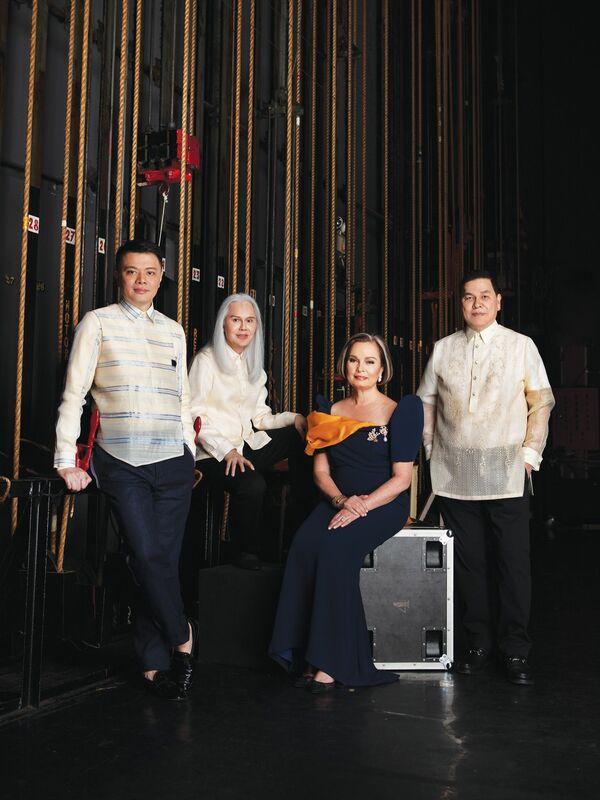 Hailing the terno as a barometre of our identity, these impassioned individuals launched TERNOCON, which aims to highlight the relevance of our national dress and why it must stand the test of time. “Fashions fade,” said the late great Yves Saint Laurent, once upon a time. It is a truth that persists, as trends will always come and go, propelled and dispelled by our short-lived fascination. Our attitude towards the next big thing has hardly changed over time; we embrace them while they’re in and relegate them to the backs of our minds when they’re not. This way of thinking, to a certain extent, carries over to other aspects of fashion, affecting even the way we see the terno, the national formal dress for women in the Philippines. Due to time and circumstance, most women of today do not consider it as the go-to garment for special occasions—unless, perhaps, the invitation explicitly states so. Our national dress traces its origins to the baro’t saya, a T-shaped top and sarong-style skirt worn by Filipino women during the early days of the Spanish regime; the Maria Clara, a four-piece ensemble with a full skirt, blouse, panuelo (scarf), and tapis (over-skirt) named after Crisostomo Ibarra’s sweetheart in Dr Jose Rizal’s Noli Me Tangere; and the traje de mestiza, a garment sporting bell-shaped sleeves, a slimmer skirt, and a train. As it shares some of the terno’s key characteristics, the traje de mestiza is considered its closest predecessor. The terno (a Spanish term meaning “to match”) we know today is a flowing, one-piece gown with an A-line skirt that drops from the empire line, easily distinguishable due to the sharply pleated butterfly sleeves that lie flat at the shoulder. It is a garment modified by women for women: Pacita Longos, a designer from the 1920s, was the proponent of the terno’s iconic sleeve; another lady designer named Juanita Mina Roa caused quite a stir when her then controversial panuelo-less design walked down the runway in 1936. 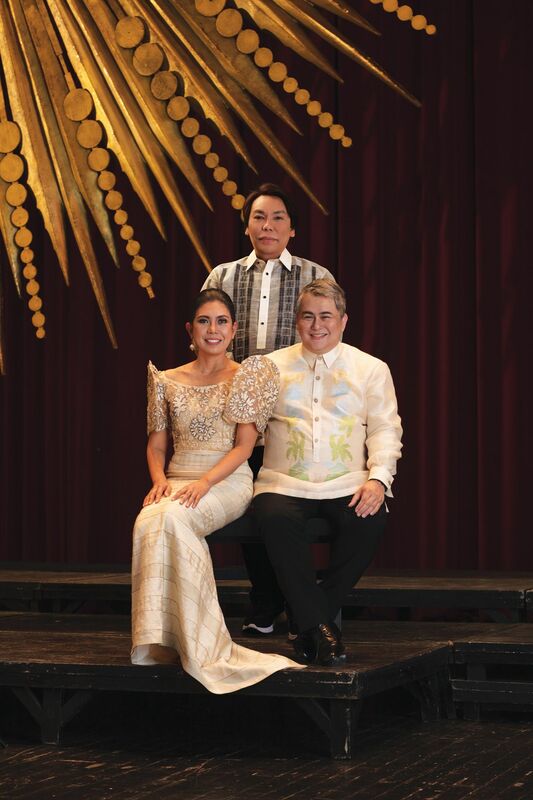 Though Western influences ushered in by the American occupation caused the terno to lose its prominence, it was cast back into the spotlight through the former First Lady Imelda Romualdez-Marcos, whose fondness for the garment allowed it to become a popular fashion choice once more—at least, for a time. After the Marcoses were ousted from Malacañang by the People Power Revolution, women began to distance themselves from the terno once more, wary of its association with the dark days of the dictatorship. It is unfortunate that our national dress is facing an uphill battle with regards to staying relevant. It has been relegated for use during state functions; most known to us is the State of the Nation Address, where women in government and politicians’ spouses attend the event in various interpretations of the garment. In a way, this has become an avenue for both established and neophyte designers, many of whom are exerting their best efforts to produce a modern, wearable terno without drastically deviating from its design. This begs the questions: In the hopes of bringing it back to the fashion fore, to what extent can we alter the state of our national dress? And how does its evolution reflect that of ours as a people? 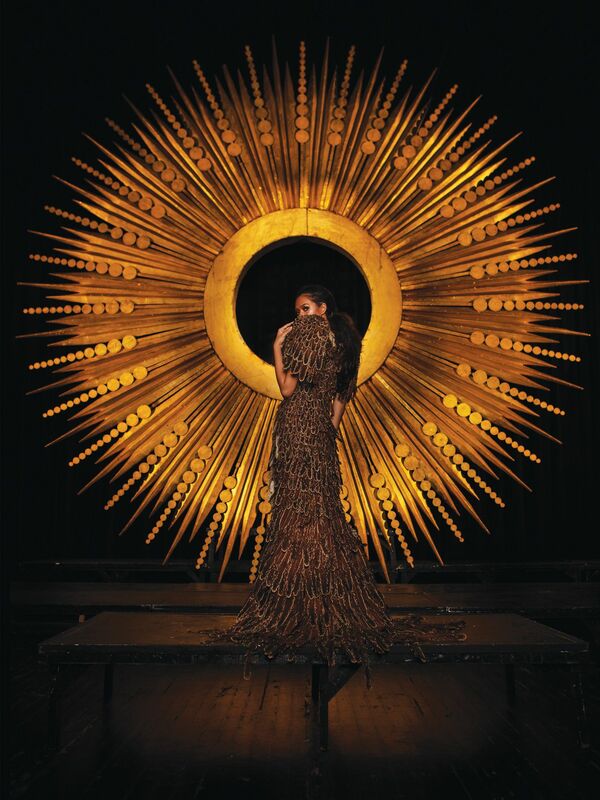 Fashionable Filipinas is, to date, one of the most well-documented sources on the terno. Private collectors, scholars, artists, photographers, and stylists all lent their expertise to the text, which allowed Gonzales and Higgins to share the story of the garment. But this book alone would not be enough. Gonzales felt a need to venture out to educate designers on the history and proper construction of the terno for them to truly understand the value of what they were working with. “A lot of people expressed interest,” he shares. “But there were not too many opportunities for them to obtain the guidance and connections necessary.” Last year, in partnership with Bench and the Cultural Centre of the Philippines (CCP), he organised Fashioning the Terno, a three-day mentoring programme for designers in Luzon, Visayas, and Mindanao. “We have long seen Manila as the centre of culture, and we fail to realise how much talent the regions have to offer in terms of fashion and design,” says Gonzales of the experience. The success of these workshops inspired what the team calls their second phase: TERNOCON, a terno-making convention for regional designers that culminates with a fashion and cultural showcase at the CCP on 10 November. A total of 30 participants from last year’s mentoring programme were tasked to design and execute one cocktail terno and one semiformal terno each as an application of all that they had learnt. In addition, Gonzales brought in respected names from the fashion community to serve as guides to the designers: Inno Sotto as chief mentor, with JC Buendia (Luzon), Cary Santiago (Visayas), and Len Cabili (Mindanao) as the regional mentors. Read the rest of the article at Philippine Tatler.